Rhoni is plush, squeaky and gorgeous! 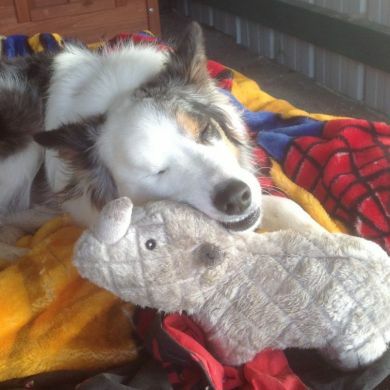 This adorable dude should keep your dog smiling longer than the average soft dog toy. While Rhoni can hold his own with many dogs we have found that serious chewers can defeat Rhoni, so if your dog is a super chomper you should go with a Tuffy Toy instead with a rating 9 or 10 instead. 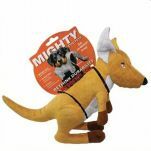 Mighty Toys are made to last but they aren't meant to be chew toys. 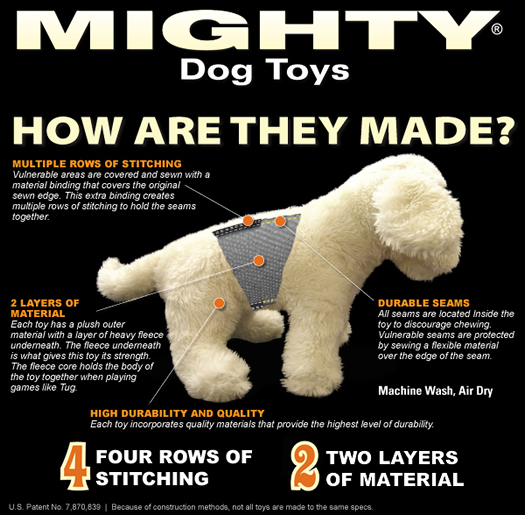 Mighty Dog Toys have no hard edges. The result is that these toys do not promote chewing - great when you're trying to discourage chewing habits. These toys may seem plush on the outside, but all the durability features are internal making these toys soft, yet strong. These toys are machine washable (air dry) and float. What can I say about Rhoni the Rhinocerous. 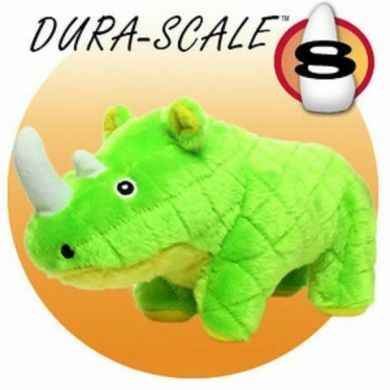 It's listed from the manufacturer as having a "Dura-Scale" of 8 out of 10 for toughness. I have an 11 month old Golden Retreiver who tore it to shreds in 6 minutes. I'm sure for any other dog who isn't a land shark like mine this product would be 100% suitable. 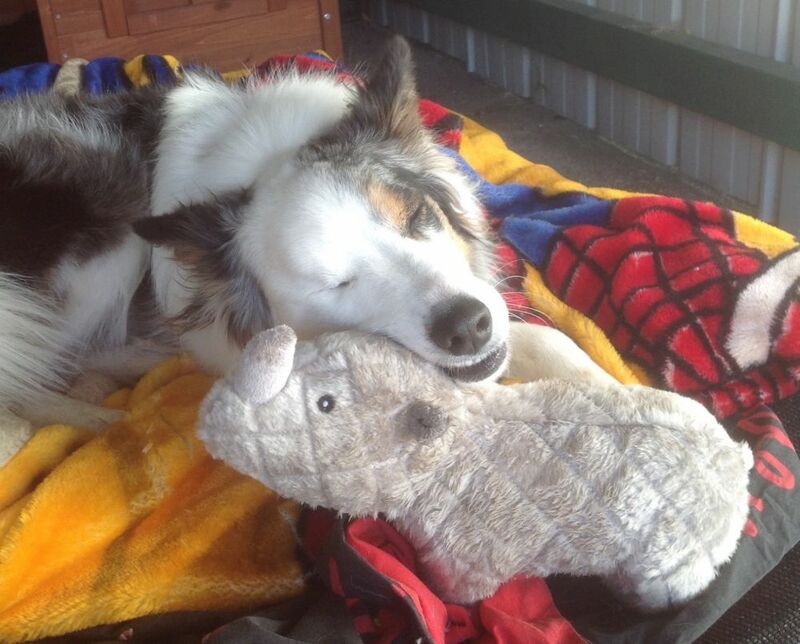 Read 1 customer review of Mighty Dog Toys Rhoni The Rhinocerous. The average customer rating is 4. If you are the proud owner of a Land Shark, please move on to something more of a 10 and above rating.